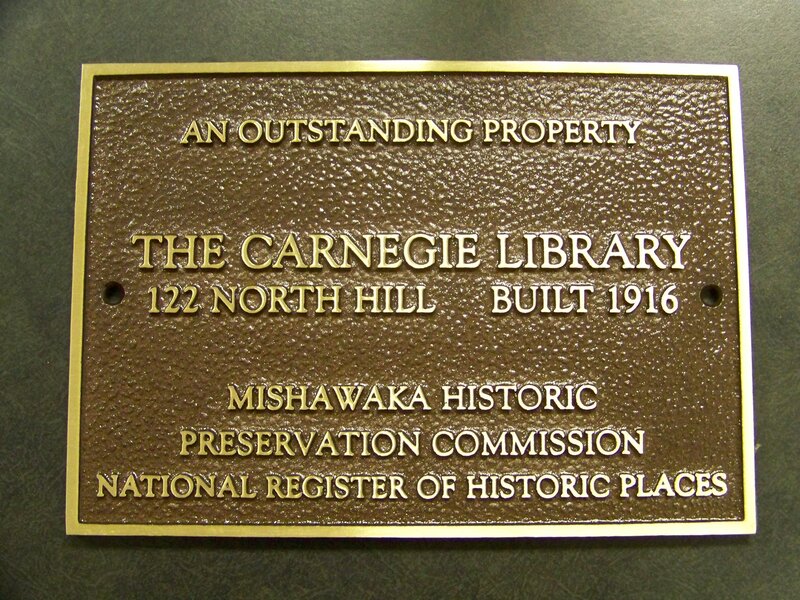 Construction of the library was made possible through a $30,000 donation from Andrew Carnegie and was one of the last fully-funded buildings to have been donated by Mr. Carnegie. The site on Hill and First Streets was donated by Fred G. Eberhart. The library opened for public inspection on May 5, 1916. 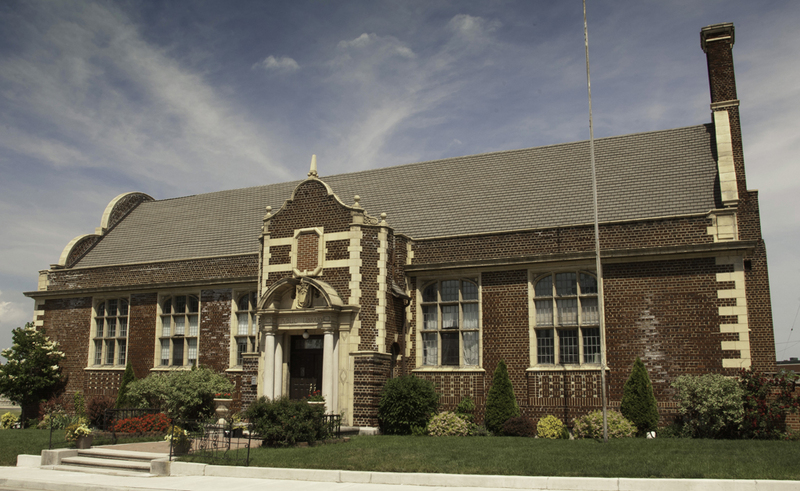 The Carnegie Library, built in 1916, reflects an ornate Tudor Gable style structure. The library is noted for the use of Flemish Gable architecture used in its design as well as the 3,500 square foot open-vaulted room with a large fireplace. Additions and alterations to the original design were made in 1937-1938 as part of a Works Projects Administration project. The work included asphalt tile covering the floors, radiators enclosed with grills, painted walls, window and screen repair, and the addition of a new window seat. An addition was placed on the east side of the original structure, a mechanical room and a coal bin room were added to the basement level on the south side. Two murals were added by Crewes Warnacut. The library was closed in 1969 and was subsquently purchased by George Kilbey, via an agreement with Beiger Heritage Corporation in 1976. When Mr. Kilbey’s son attempted to sell the property to Carnegie Properties, a court battle with the Beiger Heritage ensued and judgement was granted in favor of Carnegie Properties. Beiger Heritage Corporation eventually gained control of the property. The property was sold in 1999 and converted to a single family home. The family lived there for many years until it was sold again in 2016, with the intention of becoming a restaurant.